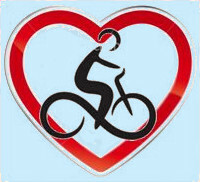 ﻿ Provence Biking Tours| Single Base biking| Accommodation. THE ACCOMMODATION AT OUR B&B BASED CYCLING HOLIDAYS. Our self guided cycling holidays are based at our 17th century farmhouse. The building is a traditional Provence stone mas, situated in a great position for cycling in the river plain opposite the Luberon hills, on the outskirts of Coustellet village. Our location makes for some gentle biking, whilst being ideally placed for exploring the Luberon Natural Park and the beautiful surrounding Provencal countryside and villages. Our accommodation ranks highly on TripAdvisor, with 5 stars for the last 11 years. Click HERE to see our tour & accommodation reviews. We have also been awarded the “Recommended” Badge by TripAdvisor as 100% of our guests would recommend us to their friends, as well as their "Excellence" Award. 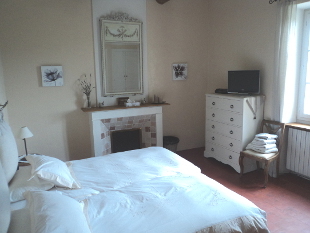 Our bed and breakfast has four guest rooms which are decorated in a traditional Provencal style, with either a double or two single beds & either ensuite or separate bathrooms (prices vary accordingly). 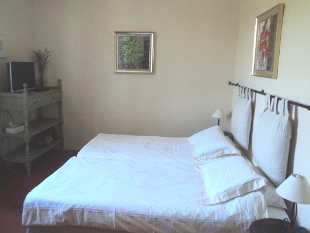 All rooms have a flat screen TV, the necessary for hot drinks, a hair dryer & heating. 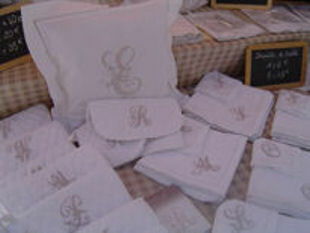 Bed linen, towels, dressing gowns and toiletries are all provided. Not on the same subject, but important nonetheless, we do a free laundry run every day to keep our biking gear nice and fresh! 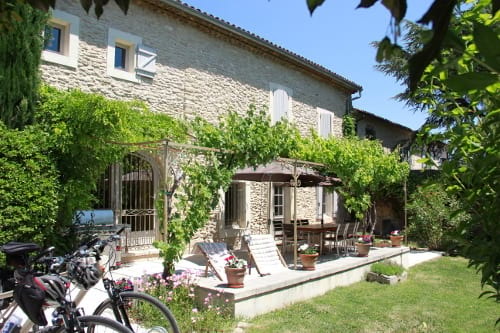 "Neil and Nat provide beautiful farmhouse accommodation... perfect... "
Claire - Australia - Sept 18 - Provence bicycle trips review. "Neil and Nat and kids are fantastic hosts in their lovely farmhouse complete with fabulous meals and atmosphere"
Bonnie - Canada - May 18 - Provence bicycle trips review..
Carrie - US - May 17 - Provence bicycle trips review..
"Let me tell you just a little bit about their exceptional hospitality. The room and brand new, modern bathroom in this old Provencal farmhouse were just right. 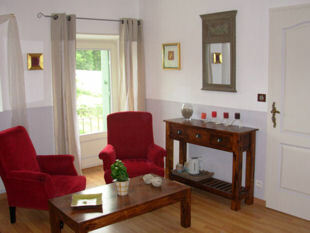 Greg - US - May 17 - Provence bicycle trips review..
"We felt totally comfortable the moment we arrived at Nat and Neil's B&B. 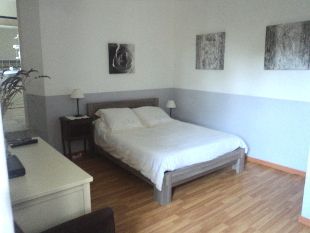 The rooms were great, the beds very comfortable and the shared bathroom with our children worked out very well. Alan - US - May 16 - Provence bicycle trips review..
"Our accomodation was excellent and the shared meals a joy under the vine on the verandah. Denise - Australia - Sept 15 - Provence bicycle trips review..
"After staying in small French hotel rooms for the remainder of our vacation, it was a delight to have our spacious bedroom & bathroom in Neil & Natalene’s 17th century farmhouse. Peter & Ann - Canada - May 14 - Provence bicycle trips review..
"A beautiful and historical home itself, this B&B experience includes some of the best food and hospitality I've encountered thanks to owners Neil and Nat." Colleen - Canada - Jun 13 - Provence bicycle trips review..
"The hospitality in a friendly environment, great food and spotless accommodation made it a pleasure to stay here. " Maryann - New Zealand – Aug 12 - Provence bicycle trips review..
Nick - UK - July 11 - Provence bicycle trips review..
"The B&B was a quintessential Provencal stone farmhouse, across from a cherry orchard with a beautiful view of the Luberon Mountains." Donna - US - June 2010 - Provence bicycle trips review..